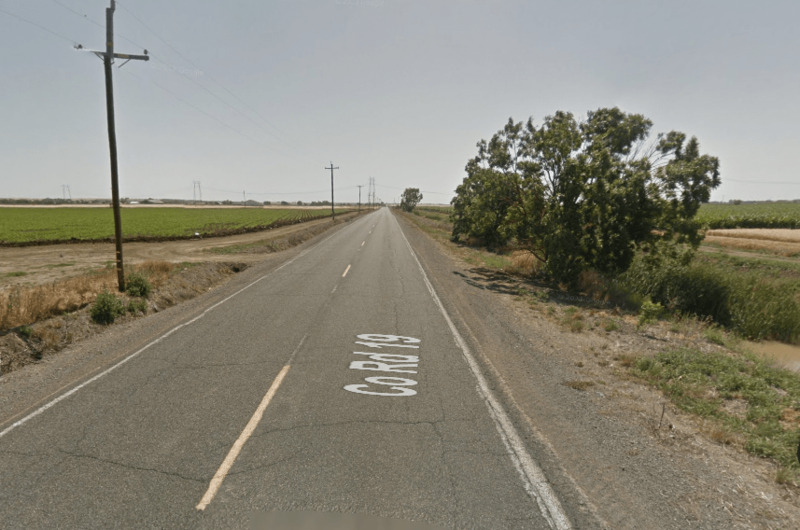 On Sunday, a car driver on the wrong side of a two-lane highway in rural Yolo county crashed head-on into a bicycle rider and killed him. What was the California Highway Patrol’s response? Blame the victim. The CHP says the driver of the car was just following the law, which requires a three-foot passing distance around bicycles. The driver was giving a wide berth to a group of riders on her side of the road. But somehow she failed to notice Allen Blumm on a bicycle directly in front of her in the oncoming lane. The CHP, according to the Sacramento Bee, has not filed any charges against the driver. Worse, officers said the bicycle rider himself was partly to blame because he was not riding way over on the right side of his lane. Any person operating a bicycle upon a roadway at a speed less than the normal speed of traffic moving in the same direction at that time shall ride as close as practicable to the right-hand curb or edge of the roadway…. Also, he writes, the law requires a driver to wait until the lane is clear before passing anyone. It is tragic that someone was killed, and that someone else made such a terrible mistake. But it is also very bad that law enforcement is picking and choosing which laws to apply in a way that makes it clear to drivers that they have more right to the road than anyone on a bike. As in so many car-bike collisions, the police in this case found creative legal interpretations to absolve a driver of her dangerous and illegal behavior. From what ive experienced as a bicyclist and motor vehicle operator is that accidents are more common than most people tend to give credit. Riding a bicycle on a roadway is something more people do each year. Bicycles are not protected by metal enclosure and therefore the person riding is usually seriously injured in an accident. Another important factor to accidents is that motor vehicles make many mistakes and don’t follow rules while driving. Automobiles will speed up for a yellow light dedicated to arriving at a destination as quickly as possible often putting many lives in danger. Auto vehicles are cited alot. How many bicycles are pulled over for speeding past 25 mph in the US (I say US because I’ve seen some despicable bicyclist videos from the UK also some very respectable ones filming them). My point is its my belief that the bicycle is easily blamed when motorists tend to take more risks at the cost of others lives. One example is this: I was following all the rules of the road on a 4 lane roadway. I had about 1.5 ft of room for a bike lane. A tractor trailer passed me in the same lane and blew a red light and in the process obstructed my view of the traffic controller. I ended up ripping my brakes into an intersection. I head-on collided with an opposing car waiting to make a left hand turn. They never saw me nor I them. The driver was fine. I have spinal injuries amputation and broken teeth as a result. The police declared that the driver did everything right. As a result I likely will not receive any compensation and have extreme difficulty taking care of household chores and doing everyday activities. I also experience a great deal of pain and soreness just trying take care of myself. I cannot work physically demanding jobs probably for the rest of my life as a result. I bet there are also rules for passing other vehicles that include being safe and not hitting oncoming traffic. If there’s traffic coming at you, you don’t go around the peleton until it’s gone. You don’t kill the person because you **had** to pass them right away. The law actually says practicable in 21202 VC, not “possible”. Alas, getting that wrong is par for the course, so the observed outcome isn’t surprising at all. The saying is “ignorance of the law is no excuse.” Where does that leave CHP officers? In almost every report of a bicyclist or pedestrian fatality or severe injury, the CHP officer or PIO misquotes the law. I think the officer was grasping for straws here because the standard response of “they weren’t wearing a helmet” was not available.